The Eleusinian rites emerged from the Greek myth of the goddess Demeter and her daughter Persephone to bring forth abundance from the earth. Yet strikingly similar rituals and legends appear in the doctrines of Freemasonry, Buddhism, the early Church, and other religions and spiritual traditions. 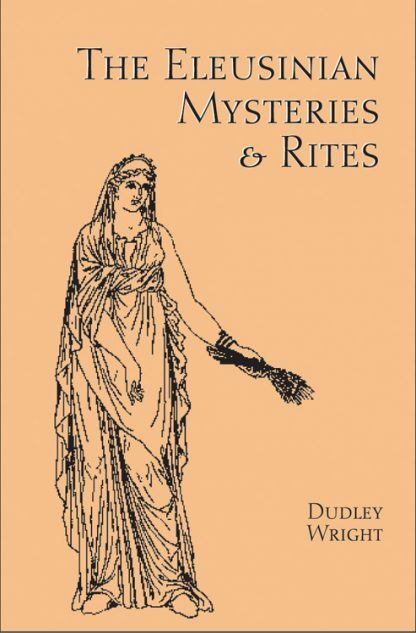 In The Eleusinian Mysteries and Rites Dudley Wright explains the core mythology of Demeter and the many stories thought to be born of the myth. He includes an examination of the Ritual of the Mysteries, when and how they are carried out, the rites of initiation and their mystical significance. Examination of the myth of Demeter and her daughter Persephone shed light on the spiritual lives of many ancient cultures.